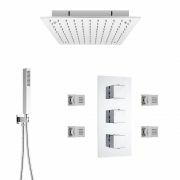 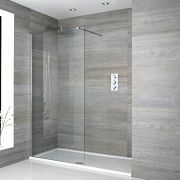 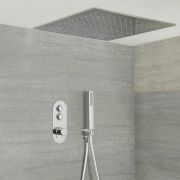 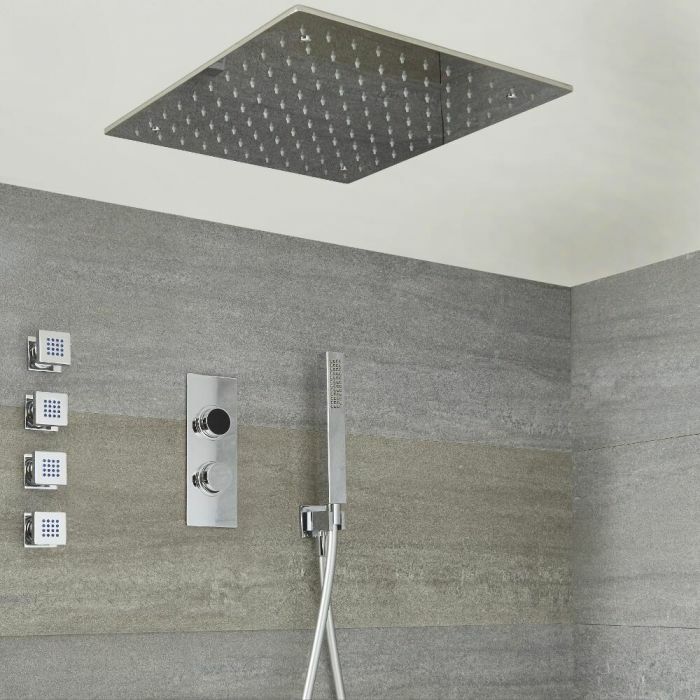 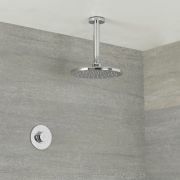 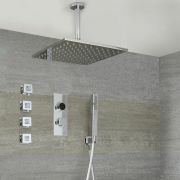 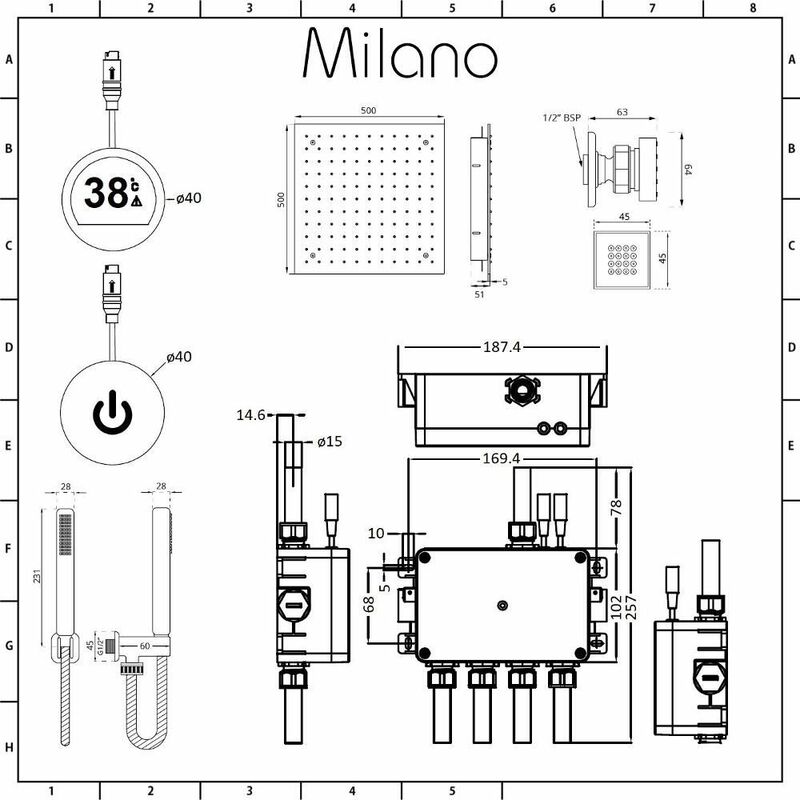 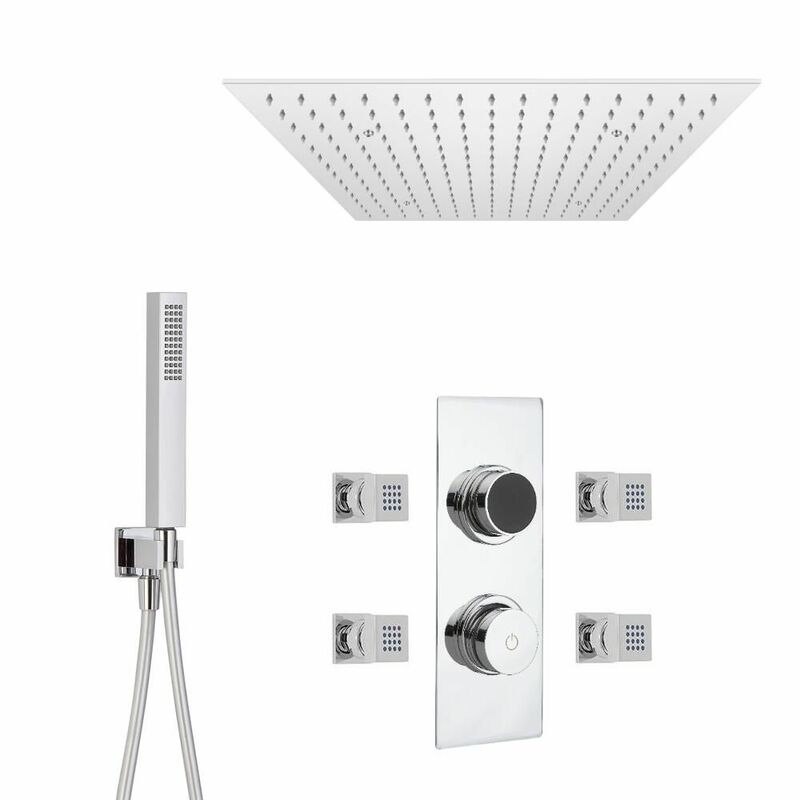 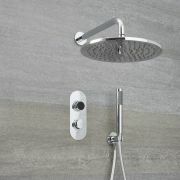 Give your bathroom a designer edge and enjoy a spa-like showering experience with the Milano Vis digital thermostatic shower control, recessed shower head, handset and body jets. 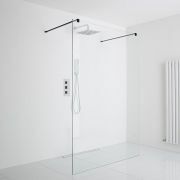 Featuring a chrome finish and a minimalist design, the digital shower allows you to set the water flow and temperature precisely, and you can switch between the different showering outlets with ease depending on your preference. 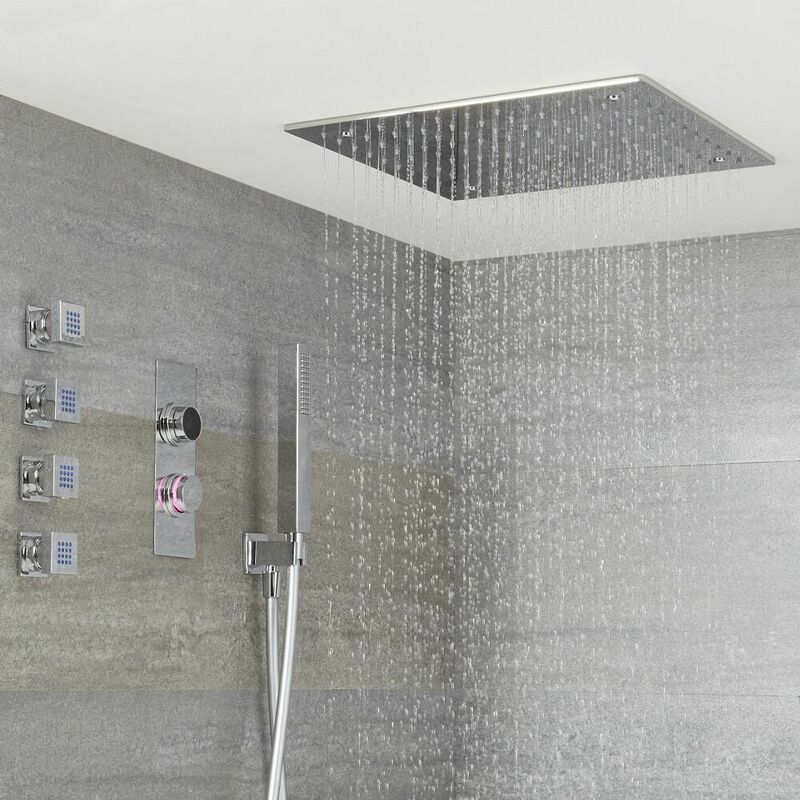 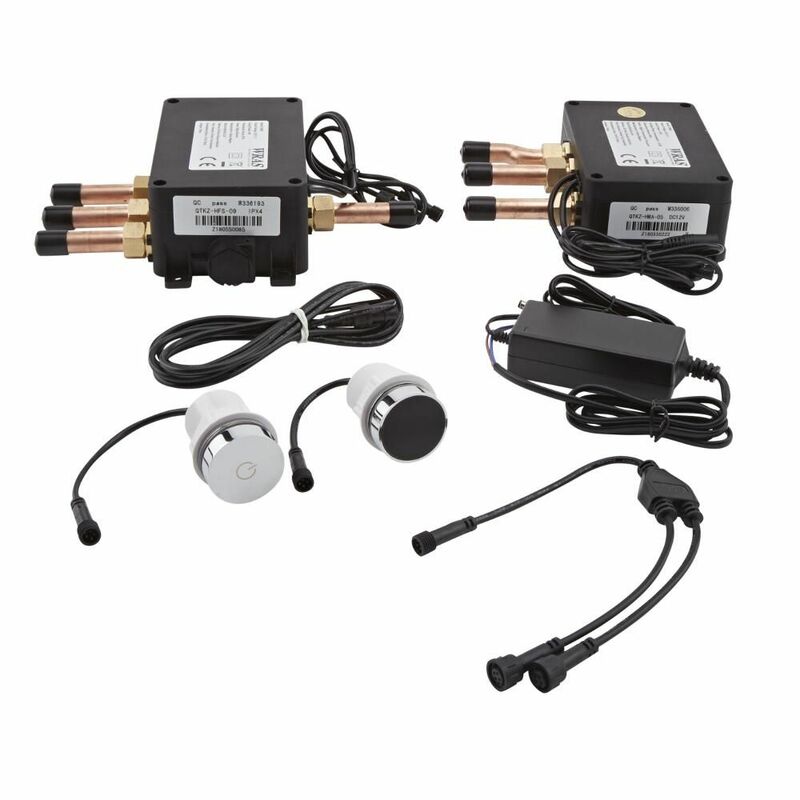 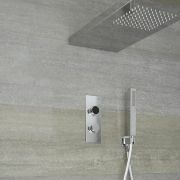 The control also has a colour changing indicator for the temperature, which makes creating the perfect shower that much easier.